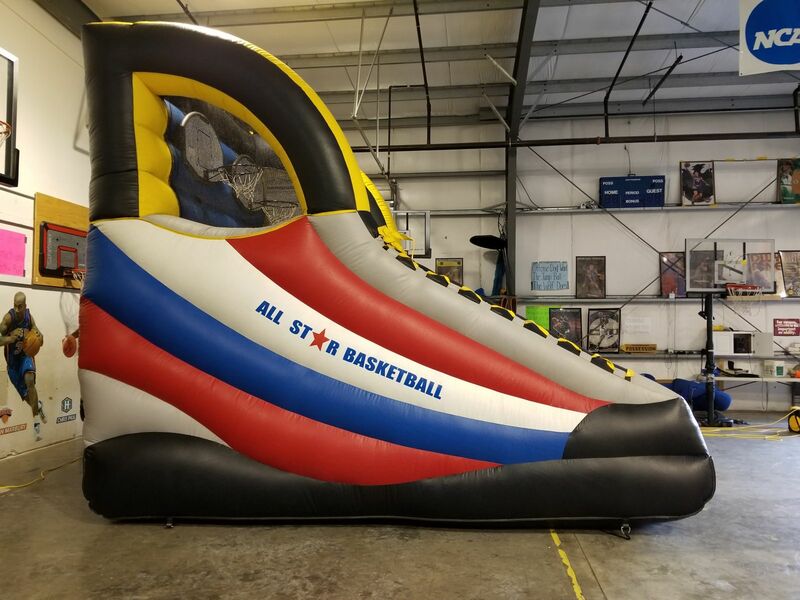 Our Inflatable triple shot basketball game is the perfect addition to your next back yard party or carnival event. 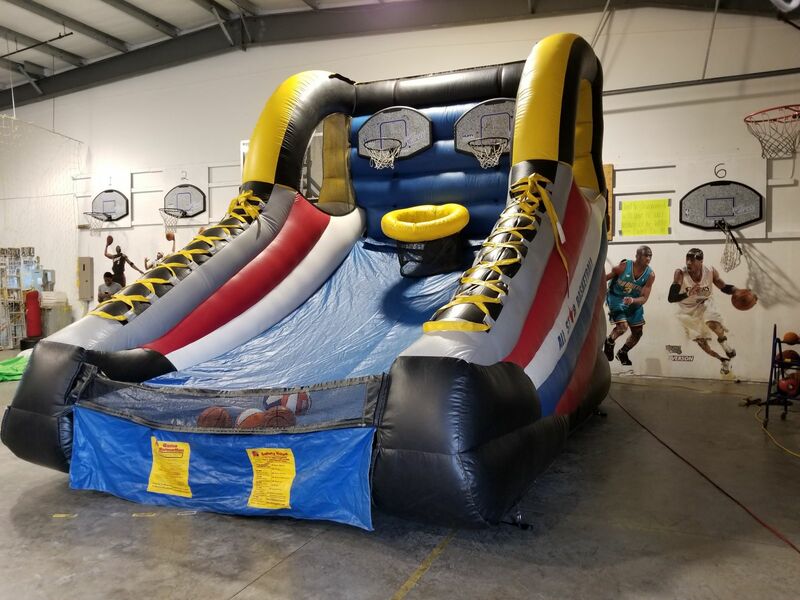 This will keep your basketball fans busy for hours. They can compete with friends and family to see who can make the most free throw shots. Who is the number 1 player at your event? Bring your "A" game and have hours of fun. Practice makes perfect! 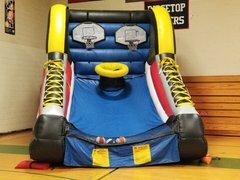 Our Inflatable Triple Hoop Basketball Game will be a big hit at your next event!